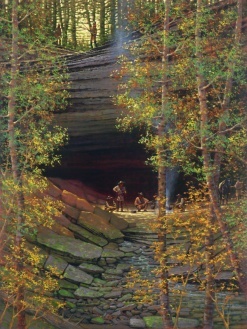 Martin station in the 1770’s was the last point of supplies for settlers traveling Boone’s Wilderness Road toward Kentucky. Doug Hall shows the settlers’ rough-hewn log cabins and, to their peril, the partial stockade. 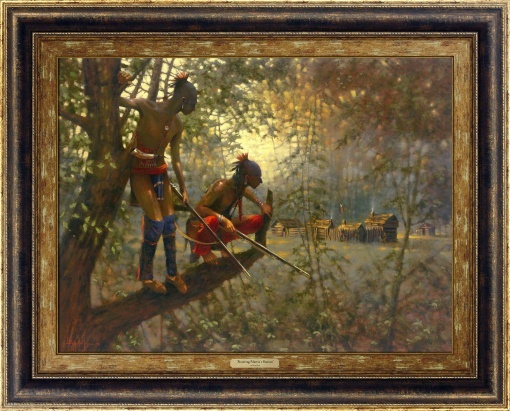 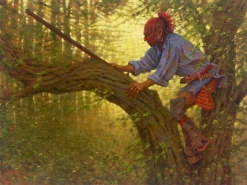 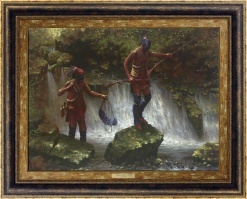 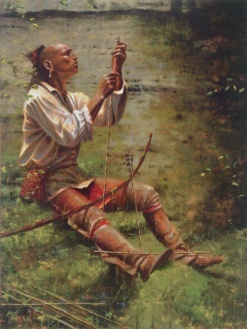 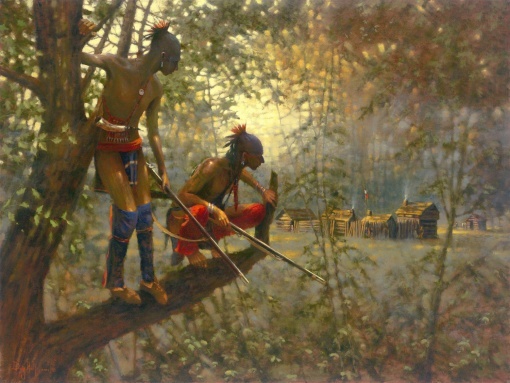 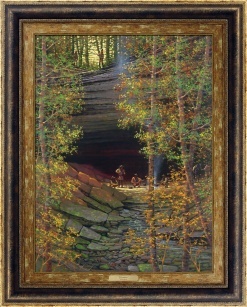 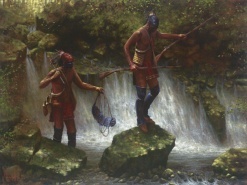 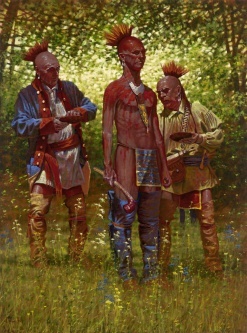 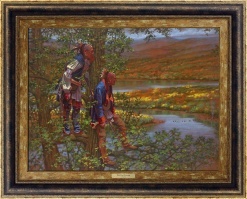 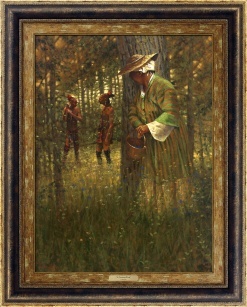 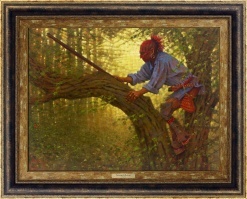 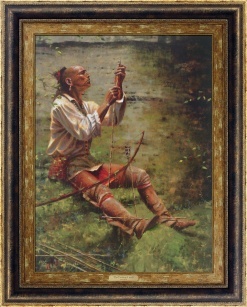 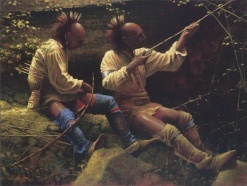 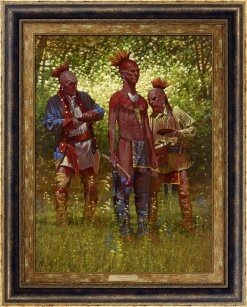 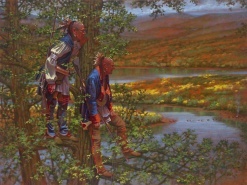 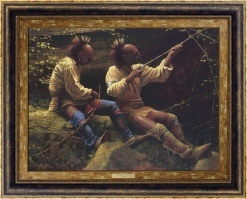 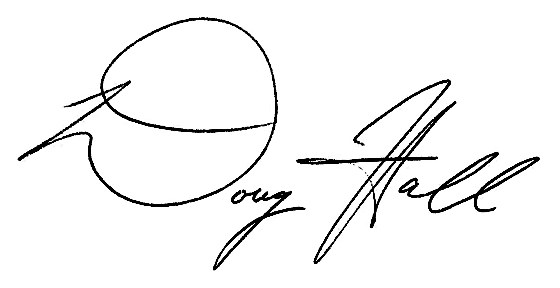 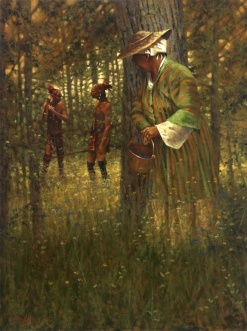 The promise of plundering and discouraging settlers is uppermost in the minds of these Shawnee warrior scouts.